As many of you know, we are responsible for not only The Market House, but also areas of Open Space within our town for the benefit of the residents and the snow at the end of January, was not only beautiful, but allowed many of you to enjoy our largest area, Preston Park, with snowy walks and sledging. 2019 will be another busy year for us and the largest project will be starting on 15th April, when, as I mentioned last month, we begin the repair and decoration of The Market House. This historic building is the centre piece of our Town and this essential maintenance will mean it will remain so for many years to come. I would ask you to all please bear with us during the 5 weeks of work and I am pleased to confirm that during this work, 9am – 5pm, there will be manually operated traffic lights, in order to ensure that any inconvenience is kept to a minimum. As a group, we are also very lucky that Thirteen member, Dr Tony Walsh, gives talks on the history of the Feoffee and I am pleased to confirm that he will be speaking over the next couple of months, not only in Tetbury and the surrounding villages, but as far a field as Cirencester and Cheltenham. If you are a member of a group who would like Tony to visit, please let Tony know, either personally or via our website. You can find out much more about our grants, history and the current work we do in the town, by visiting our website www.thefeoffeesoftetbury.co.uk or speaking to any member of the Feoffee or Thirteen, we would be pleased to hear from you. Happy New Year! Firstly, whilst Christmas seems a long time ago, I wanted to send a big thank you to Amanda and the team at Hobbs House Bakery and Peter Powell and the Creative team, who kindly supplied bacon sandwiches and coffee, for all our volunteers who decorated The Market Hall and the Christmas trees and Tetbury Heating and Plumbing who assisted with the installation of the lights. We would also like to thank the Dormers Close residents who decorated the Christmas Tree in Berkeley Wood. 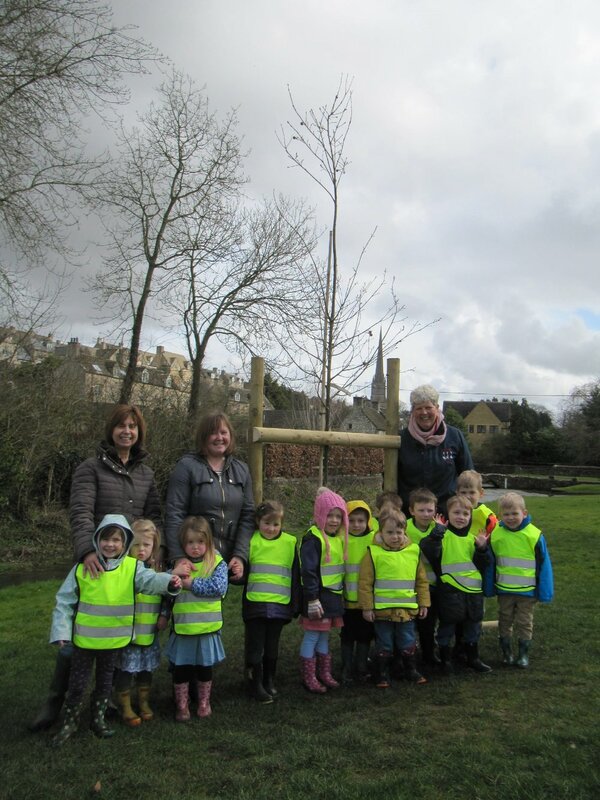 Parking – we wanted to remind you that whilst The Chipping Car Park is operated by Cotswold District Council on our behalf, this Pay & Display Car Park is owned by the Feoffee and that any profits made are then used by the charity for the benefit of the town. Also, we still have a car parking space available at the bottom of Gumstool Hill, if you would like to take the opportunity to rent, please contact Feoffee Richard Cooper, either in person or via our website. Herd Lane – we have received complaints from residents regarding the tipping of rubbish and food waste along the bank and should you see anyone doing this, please report to us and we will take the appropriate action. This is a public area for the benefit of our local community and we work hard to keep this tidy and would welcome your support in this matter. History Talks – Thirteen member Dr Tony Walsh continues to provide talks to groups and organisations regarding The Feoffees and Thirteen and whilst he already has a couple planned for this year, if you are a member of a group who would like to know more about us, please either contact Tony, either in person or via our website. What a wonderful summer it has been, with glorious sunshine and lots to do in the town. Our Community Summer BBQ was a great success, with friends old and new catching up on the Millennium Green and children enjoying playing together at a lovely summer event. If you missed us this year, please look out for the date next year and come along and join the fun!